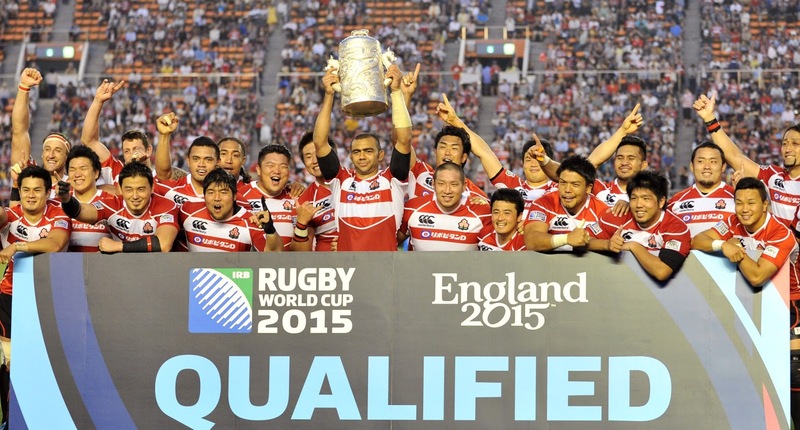 So Japan won their third game and were cruelly ejected from the Rugby World Cup, the first time a country has lost only a single game and not continued to the later stages of one of the world's great tournaments. Eddie Jones and the team have done their country proud and set a very high bar for the men preparing for 2019 when the games will be held with home country advantage. The loss of the national stadium, now back on the drawing board as the country re-assesses its options prior to the Olympics, is a blow but realistically it's not going to happen so let's move on. The opening ceremony will now be at the Ajinomoto Stadium in the suburbs of northern Tokyo, and the final will be held, once again, in Yokohama, a repeat of the football World Cup in 2002 though the choice of Kamaishi, in wave ravaged Tohoku, is inspiring for the pool games. There has been quite some discussion as to the non-nationals who played for the country including the captain, Michael Leitch, who proceeded to astound the nation by conducting his post-match interviews in flawless Japanese. 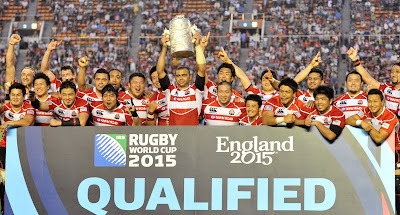 It hadn't been a question of Japanese or foreigner, simply who was the best man for the job. And those born outside these shores paid the highest tribute to the country they could; they chose, committed, fought for and were selected to represent this country, something I'm sure they are all very proud of now they are flying home. To Japan.